The Orange Puffle is very curious, like the Red Puffle that is adventurous. When you purchase the Orange Puffle, you can do a special dance with it by pressing the D key on your keyboard. After that, the orange puffle will use a hula-hoop as a toy. But, one thing Club Penguin forgot about is Puffle Roundup! The Orange Puffle has not yet been found in Puffle Roundup. A brand new Club Penguin Snow & Sports catalog was released! Here are all of the cheats and hidden items in the new catalog. 2. Click on the penguin with the green uniform & cap on. 2. Click on the Pitcher’s Mound. Those are all of the Club Penguin Cheats for the new February 2010 Snow & Sports catalog. Club Penguin has released a brand new collectible pin! Here’s how to find the newest Club Penguin pin. 1. Click on your map and go to the Ski Village. 2. Go inside the Ski Lodge and go toward the left of the room. 3. Click on the Wagon Pin that’s above the fireplace. 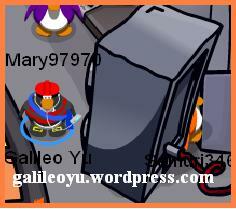 That’s how to find the new Wagon Pin on Club Penguin! Last year, Club Penguin showed us a few sketches back from November 2005 when penguins never had pets. If you missed those sketches from last year, here they are again with some even more sketches included! The name “Puffle” was actually decided by all of the penguins who voted on it a few years ago, too! A few of the sketches above are fairly close to the actual puffle that we see on Club Penguin now! What do you think? Do the following steps to get the free puffle items. Step2.Click on the box of hats. There is a free item at the Member’s room! So members? Go there! Step3.Go to the item box. 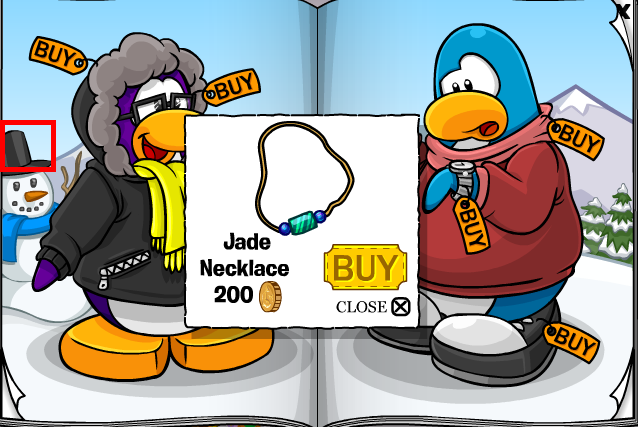 You now have the Puffle Jacket! And here is what the Member room looks like! Once you are inside, you will notice how well decorated it is! You may find puffles playing around on play equipment and much more! Between the dates of February 19th to the 25th of February, the Club Penguin Puffle Party will be taking place. Today, Club Penguin provided us with some exclusive pictures of this year’s Puffle Party. During the Club Penguin Puffle Party of 2010, there will be many sweet rooms and a special Members Only room! The picture above is supposedly of the “White” Puffle’s room. Well, wouldn’t there be a room for every other colored Puffle? I guess will have to wait and see this February 19th! Club Penguin also made a new post on their What’s New blog regarding a new Elite Penguin Force game! They know how much we loved the last game, that they are in the making of releasing a new game in the middle of 2010. Club Penguin told us that this game will come packed with sweet new surprises and they provided us with an exclusive picture for the upcoming mission in the game; Herbert’s Revenge! He looks very silly, goofy, and mischevous…I wonder what action he does!